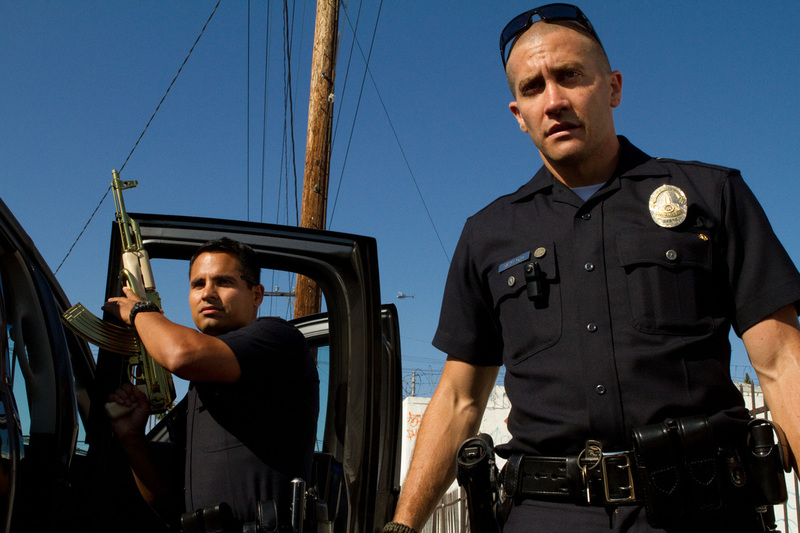 This article is a review of END OF WATCH. So say the opening titles. This ain’t no fairy tale. A bromance perhaps. An exhilarating pseudo fly-on-the-wall cop thriller. A muscular genre flick that for once doesn’t feel like it belongs on the television, or that we’ve seen this before. The charisma pulsates off the screen and the dialogue is electric. What do you expect from the mind that brought us TRAINING DAY and HARSH TIMES? “I am a consequence,” so says Jake Gyllenhaal’s Brian Taylor in the sole narration of the film over the initial exciting car chase from the point-of –view of the car-cam. Brian’s partner is Mike Zavala (the under-rated Michael Peña). The sequence sets the tone for what we’re about to be thrown into. The visuals are from cameras within the narrative – images mostly from those attached to the two leads. Taylor is doing a project for an art elective as part of his pre-law class. This is also what elevates END OF WATCH above the pretty banal cop thrillers that have been gracing cinemas, failing to satisfy in the wake of HOMICIDE: LIFE ON THE STREET, THE WIRE and THE SHIELD on the small screen. These three shows have used the massive canvas of episodic television to tell grandiose allegorical tales. Writer-director David Ayer appears to have understood this, sidestepping negative comparisons, and instead crafting something exhilarating and refreshing. We are not shown the politics of the law enforcement machinery, or corrupt cops, the focus are two dedicated, bright and very witty patrolmen as they police some extremely fraught streets of the inner city urban environment of Los Angeles. 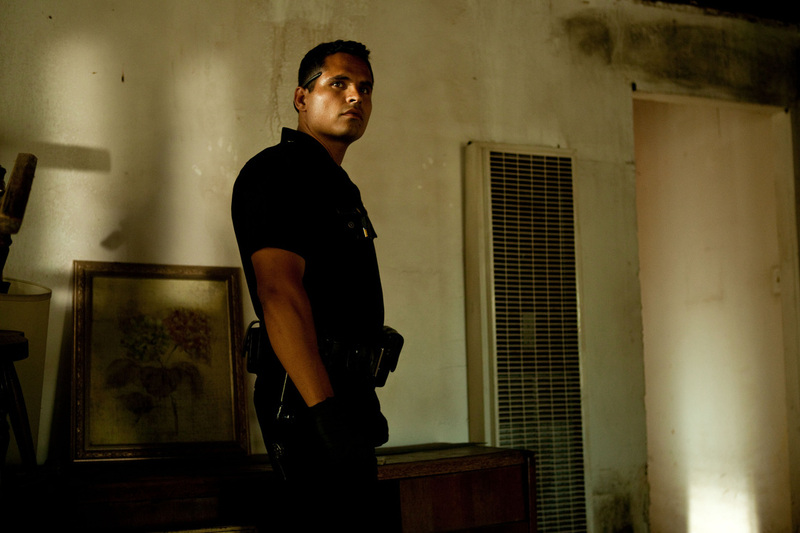 END OF WATCH is not LEATHAL WEAPON; preferring relative realism over spectacle. As Brian and Mike respond to seemingly arbitrary calls, something quietly foreboding appears to be linking them. The banter and energy pulsates, with pacing pitched perfectly for adrenaline and relief. One of the most enjoyable thrillers of the year so far.